If you’re looking for efficient, affordable, and reliable Worcester FF&E services, we’re glad you’ve found your way to us! 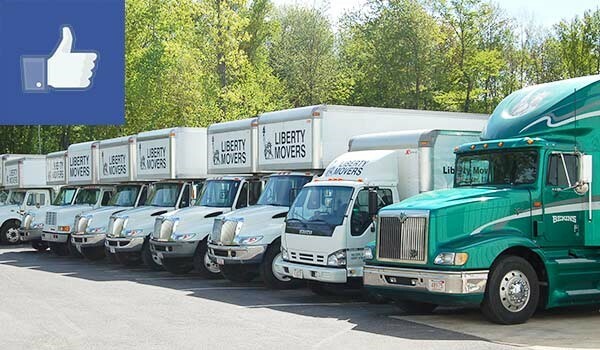 Liberty Movers has been providing reliable moving and storage services since 1920, founded on the highest standards of personalized customer service and dedication to quality. We can capably provide FF&E services to hotels, restaurants, and resorts, ensuring specialized moving and storage for all of your valuable furniture, fixtures, and equipment. In addition to our many industry awards and accolades, we are also a BBB-accredited business and members of the American Moving & Storage Association—all testaments of our consistent dedication to customer satisfaction and the pride we take in our work. At Liberty Movers, our FF&E professionals have the training and equipment to ensure your every need is met. We start by providing you with a free consultation, during which a knowledgeable representative will help you choose service solutions targeted to your requirements. Our fixture movers will handle your valuables with expert care, ensuring your items will be completely protected during transport to their next destination. If you are taking advantage of our storage solutions, your items will then be placed into secure storage vaults that you alone can access, labeled and stacked to keep them organized and easy to access. Our state-of-the-art warehouse facility is designed to keep your items clean and protected for as long as you need. Learn More About Our FF&E Services Today! We offer moving and storage solutions you can trust! To learn more about our FF&E services, including our Worcester specialized moving solutions, call Liberty Movers today to speak with a knowledgeable representative. If you’re ready to request your free, no-obligation estimate, use our quick online form and we will get back to you promptly.